There’s no shortage of weather apps in the App Store. Every week it seems like a new weather app is enticing us with beautiful graphics and a unique design aesthetic. While the apps are plentiful, there hasn’t been any mobile-oriented hardware related to checking the weather. It’s an untapped market many haven’t given much thought to. In the age of the iPhone, what value does a traditional thermometer even have? 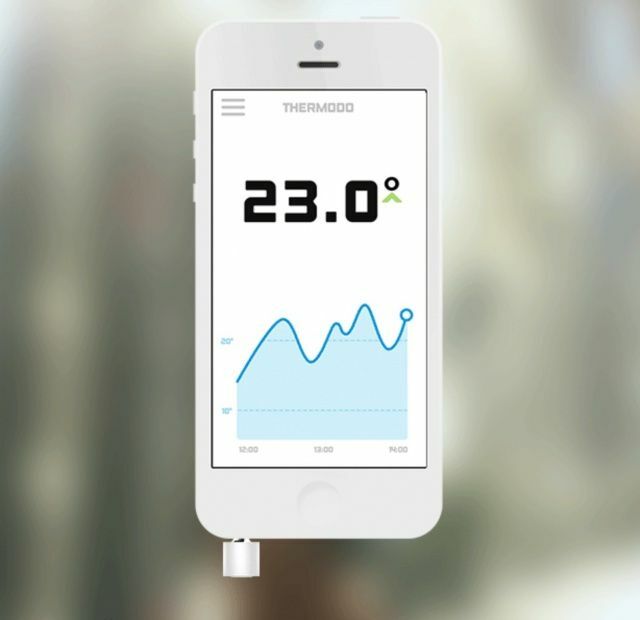 Robocat has already put out some great iOS weather apps, and now it’s launching a Kickstarter campaign for Thermodo, a physical thermometer which integrates with the iPhone. Simply plug Thermodo into your device and start the companion app or any other Thermodo enabled apps of your choice. The temperature reading takes place instantly. Thermodo is powered by your device. No external power is required, it can even run in the background while you do important stuff. Robocat has already made three iOS weather apps: Haze, Outside, and Thermo, a straight-up thermometer app for the iPhone. Why do Thermodo? The software is where the magic will really happen for Thermodo. You’ll be able to quickly measure the temperature indoors and outdoors. 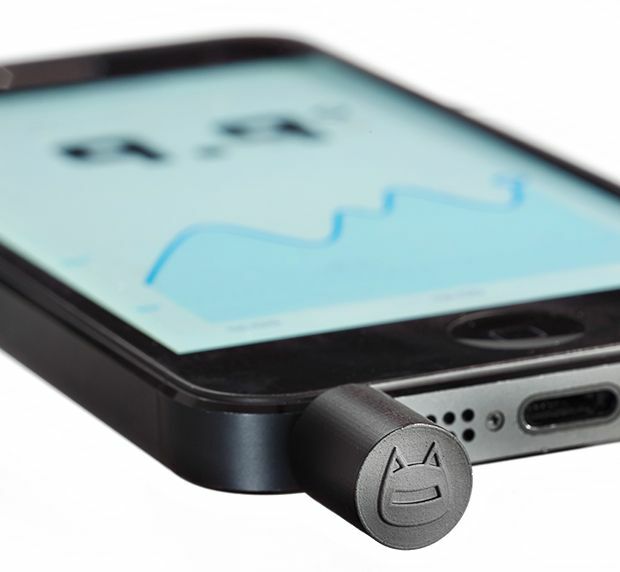 The dongle will let you track the temperature and see how it rises and falls throughout the day. No network connection is required. Thermodo will work with Haze and Thermo, and Robotcat will have a SDK available for developers to add support for their weather apps. The idea is that you will have a miniature weather station with you at all times. As they exist today, weather apps rely on services like Yahoo Weather to provide an estimated temperature based on the nearest weather station. In my experience, Apple’s stock Weather app has been particularly bad at getting accurate temperature readings. Something like Thermodo could prove to be quite useful for weather junkies. Head on over to the project’s Kickstarter page to watch the video, learn more, and consider donating. Robocat is trying to raise $35,000 over the next month.